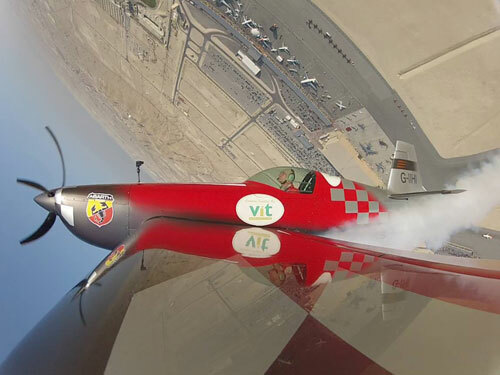 I had the privilege of the first flying show here at the Bahrain International Airshow 2012 after the Red Devils parachuted in with the national flag. King Hamad bin Isa Al Khalifa, gave his opening speech at 10:30 and I flew at 10:47 and again in the afternoon. Stunning displays were flown by the Russian Knights in the SU27 and UAE’s Al Fusan team flying the Aermacchi MB-339A. Its been a superb airshow – well worth a visit; it has been a pleasure to be part of this event and I would like to thank the organisers for their invitation and hospitality and I look forward to returning again in the future. As an International air display and aerobatic pilot I regularly undertake an International tour in the early months of each year – If an event organiser would like their event included in my tour schedule please get in touch with me directly for further details.